The relationships developed during our time with ITC has been invaluable to our church as a whole, as strong friendships have grown, people have stepped out into different areas of ministry of helps and we just have had fun together. AFCM International Training Center has been raised up to help churches and ministers in fulfilling what God has called all of us to do – make disciples of all nations. Hosting a bible school will keep your students local and bring internationally known bible teachers into your church. The faculty of AFCMITC includes experienced ministers of the gospel and practicing pastors, itinerant ministers, and missionaries. 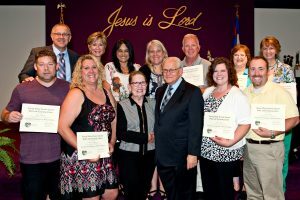 ITC Courses are designed to assist and train believers to take the Gospel of Jesus Christ to the world. We are purposed to provide every student with the tools to fulfill the call of God on their lives. AFCMITC is a time of training relevant to the student’s present position and to equip them for the great adventure of the end-time ministry.